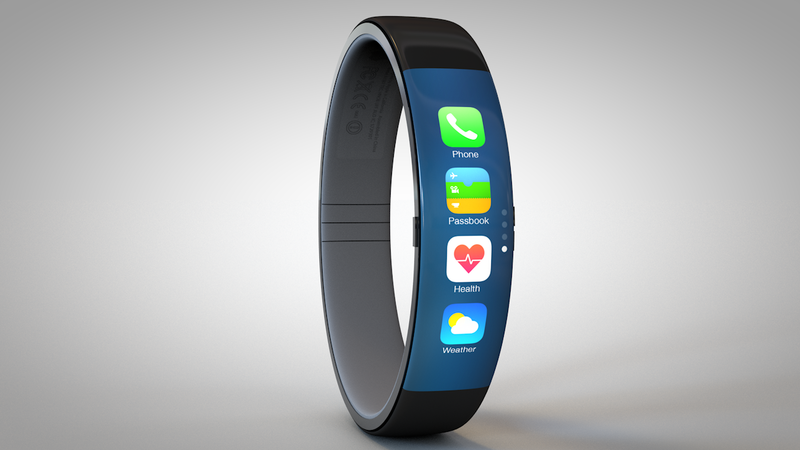 Three suppliers have delivered flexible printed circuit board (FPCB) samples for the long-rumored “iWatch” to Apple, according to a recently published report. The news, which came from DigiTimes, adds that the Cupertino, Calif. company is expected to unveil its smart watch-style device this coming September. Flexible PCB suppliers Flexium Interconnect, Zhen Ding Technology Holding and Career Technology reportedly have delivered FPCB samples for use in iWatch devices to Apple for validation. DigiTimes adds that Zhen Ding is the biggest of Apple’s FPCB suppliers, and notes that an investment of $100 million is due to be made in order to ramp up production and meet demand from Cupertino. Flexium, on the other hand, is expecting to see its revenues grow by around 20 percent in 2014, due in part to its work with Apple. As a reminder, Apple’s iWatch is expected to offer health and fitness functionality alongside select features traditionally reserved for the iPhone and iPad. A flexible AMOLED display has also been rumored, and on the iOS side, an anticipated Healthbook app is expected to source data from the iWatch and display it on Apple's mobile OS. The iWatch’s main competitors will be Pebble, Samsung, and Google. Pebble recently announced that it sold 400,000 smart watches in 2013, and with a new, higher quality Pebble Steel available, this figure is expected to boom in 2014. Samsung unveiled a second-generation Galaxy Gear smart watch back in February, and in March, Google announced its “Android Wear” software development kit (SDK). Wearables are expected to become a “key consumer technology” this year, and Apple’s iWatch will no doubt help towards making this prediction a reality. We’ll keep you updated with further information as we receive it. In the meantime, see: Apple Has Experts Explain Its $2.2 Billion Damages Claim Against Samsung, Blast Your Way Through Hordes Of Enemy Ships In The Frantic Action Of Hectic Space, and Sesame Street’s New Sesame GO Video Streaming Service Is Perfect For iOS Devices.